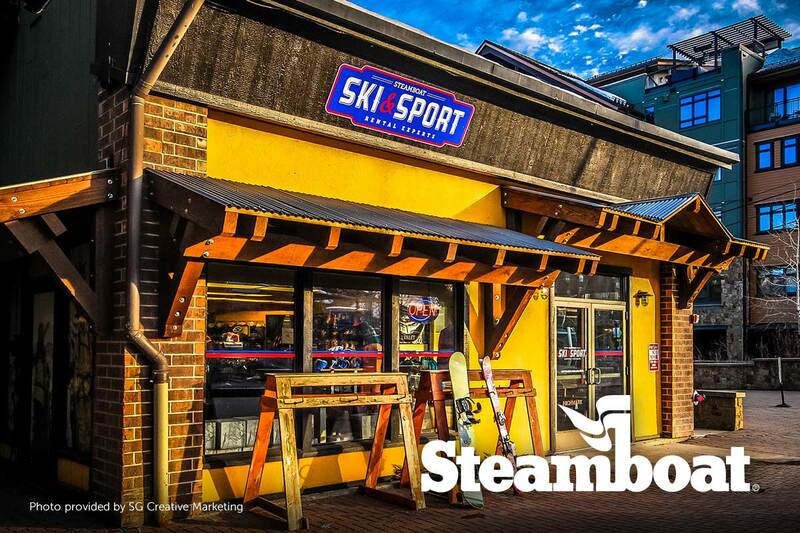 Mountain Resorts has teamed up with Steamboat Ski & Sport to provide discounted equipment rentals to our guests. With seven convenient locations Steamboat Ski & Sport has got you covered wherever you are staying. Located on the ground level of the Sheraton hotel, right on the snow across from the Christy lift, the Sheraton Ski & Sport has it all! You can find ski and snowboard rentals for the entire family, as well as an array of outdoor apparel and accessories from Burton, The North Face, Smith, Oakley and many more! Conveniently located in Gondola Square, just a few steps away from the gondola, you can find ski and snowboard rentals for the whole family. Gondola Square Ski & Sport also offers free ski storage if you have rented with any of our locations, as well as inexpensive bin storage for your boots and any other belongings you may not want to bring on the hill. Ski accessories and Steamboat logowear apparel are also available. Your one stop shop to get outfitted with this year’s latest gear. Not only do we offer the best rental products, we have the best retail clothing and accessories from Spyder, Marmot, Giro, Smith, Oakley, Spy and more. The ability to rent, exchange, and return your skis between both of our shops is what truly separates Transit Center Ski & Sport from any other demo or rental shop. Tailored demo packages to ability level and current snow conditions. Choose from the most current skis on the market. Located in the Kutuk Building in Ski Time Square we offer an “off the beaten path” atmosphere. Avoid the crowds and be fit by the friendliest rental technicians on the mountain. Offering a small array of cold weather accessories and logo gifts. *Note: Ski Time Square is not located in the base area. Want to avoid the crowds? Ski & Sport Delivery is an easy way to rent ski and snowboard equipment for the whole family- simply make a reservation, schedule a delivery time and Ski & Sport rental experts will come to your hotel room to fit you up! More Information: For more information on equipment rentals from Steamboat Ski & Sport please call our reservation staff at 888-686-8075.